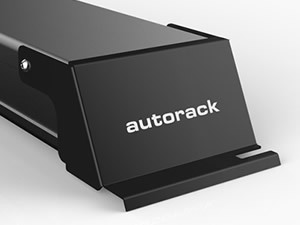 Autorack Products are manufacturers of UK Made, Quality commercial vehicle accessories. 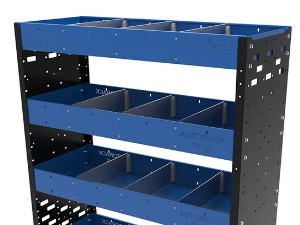 Autorack offer an increasing range of in-house designed, own brand products. Designed to meet the requirements of the professional van user. Our own brand products are supplied direct to the end user at market leading prices. 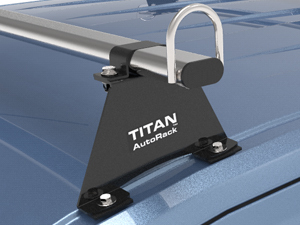 Autorack Van Racking - HDPE Pipe Carriers - A Range of Van Roof Bars, Van Ladder Clamps (Mega Clamps) Autorack Heavy Duty Aluminium Modular Roof Rack. Medium-duty roof bars are good choice for most general purpose trade uses. Manufactured from strong 50mm x 25mm (1.5mm gauge) flat-side oval section steel profile, BZP plated. 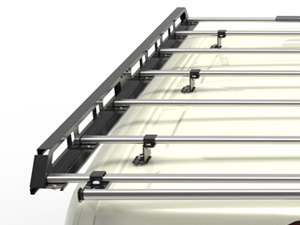 WorkReady™ roof bars feature welded end loops as standard. A range of accessories are available that include, stainless steel rear roller kits and anti-noise front Aerofoil. Heavy-duty Construction Grade roof bars are the idea choice when extra strong bars are required. Manufactured from strong 40mm x 40mm (1.5mm gauge) box section steel profile, BZP plated. MegaBars™ roof bars feature welded end loops as standard. A range of accessories are available that include, stainless steel rear roller kits 150mm high end/load stop (to help support larger loads, and anti-noise front Aerofoil. One of the strongest aluminium van roof bars available in the UK. 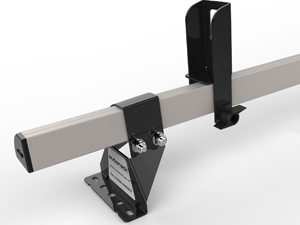 Elegant Aerodynamic (48mm x 38mm) profile that features a Box-Beam inner rectangular section for added strength. Anodised silver for enhanced looks and to protect against corrosion. 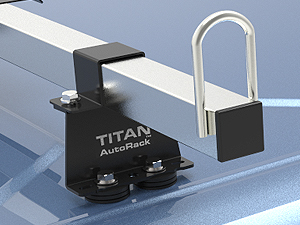 An Autorack Products unique design the AutoDeck™ modular roof rack deck is available in three roof-widths and lengths to 3.2 metres. Applications are available for most popular vans. Special features include: Modern high-tech styling, fully adjustable side profiles for front-to-back position adjustment, 1000mm stainless steel rear roller and front Aerofoil. New for 2015 is our van pipe tube. Heavy duty aluminium extruded tube with steel end caps and padlocks. Available in anodised black finish. 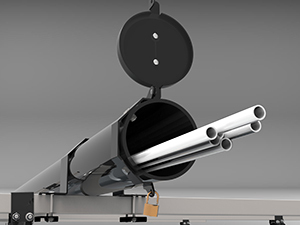 Autorack PIPE CADDY - HDPE Plastic van pipe tube carrier. Ideal for electricians conduit and capping, plumbers plastic waste pipe e.t.c. Will not mark white plastics which can be damaged in an aluminium tube. Smartly designed Pre- zinc coated and painted fittings. Steel end-cap with smart plastic cover. Keyed- alike brass padlocks included. Keep up to date on product updates and lastest news. Enter your e-mail and subscribe to our newsletter.